Bankruptcy used to be a scary word. However, in these times of financial crisis, bankruptcy courts are overwhelmed with bankruptcy filings to help people either reorganize or discharge personal debt. Bankruptcy is an option available to millions of Americans needing to eliminate unmanageable debts, or stop from losing their home to foreclosure. Two common types of bankruptcy are: Chapter 7 and Chapter 13. You can either repay a portion of the money over time under Chapter 13, or have the entire debt forgiven under Chapter 7. Which type is right for you? The Bankruptcy Code and Federal Rules of Bankruptcy Procedure determine which chapter you are eligible to file, which debts can be eliminated, how long repayment must continue, which possessions can be kept, etc. 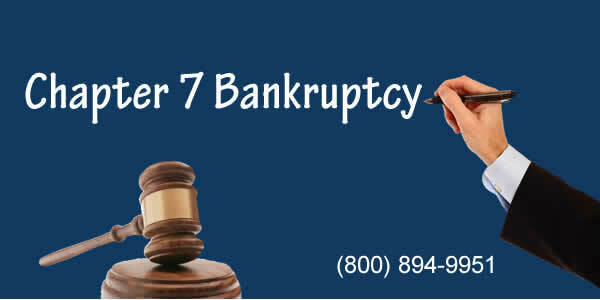 Chapter 7 bankruptcy is the most common type of bankruptcy and is referred to as a “liquidation bankruptcy.” It is used to eliminate unsecured debts such as credit cards or medical bills. When it is filed, all of that person’s assets become property of the bankruptcy estate. A Chapter 7 Trustee could then liquidate their non-exempt assets in order to pay a portion of their unsecured debts. However, they are entitled to certain exemptions under Florida and Federal law. For example, the state of Florida provides people filing for bankruptcy with a homestead exemption in the amount of $130,000.00 per spouse. Even if you obtain a loan modification for your homestead, while also having credit card and/or unpaid medical bills, you can still file for Chapter 7 bankruptcy and keep your home. There are also other personal property exemptions in the State of Florida. If the person filing for bankruptcy decides they want to keep their home, then that person and their spouse are entitled to a $1,000 personal property exemption each, as well as $1,000 each to apply towards the value of their vehicles. “Personal property” includes clothing, furniture, household goods, checking and savings accounts and any other miscellaneous personal items. 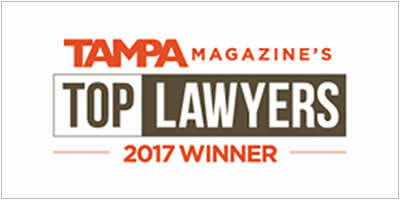 Chapter 7 will not save a house from foreclosure or a car from repossession if you are delinquent in payments; however, if it is decided to “surrender” a homestead or car, then the person filing and their spouse would be entitled to what is referred to as a “super exemption” in the amount of $4,000 each. If they don’t own real estate, but have an asset they want to protect, like a car that is paid off, they can apply the super exemption to that car. Chapter 13 Bankruptcy is another type of bankruptcy and is referred to as a “wage-earner plan” and provides the ability to save your home from foreclosure by allowing you to “catch up” on past due payments through a payment plan. It allows an individual to eliminate unsecured debt, keep their homes, and retain their retirement investments. If you do not qualify for Chapter 7 bankruptcy, then you must file Chapter 13 bankruptcy. This results in a plan to repay a percentage (or all, depending on your disposable income) of your debt, but it is not designed to discharge or eliminate most debts. Chapter 13 is used most often to save a house from a foreclosure sale. You can also use Chapter 13 to “strip” a second mortgage if your second mortgage is 100% unsecured. If you complete your bankruptcy plan, the 2nd mortgage is stripped permanently. Chapter 13 is also useful to eliminate some IRS debt and to establish an affordable plan to pay IRS debt that cannot be eliminated. Chapter 13 also allows you to “cram down” the debt owed on the promissory note for a car for which the amount owed is higher than the fair market value. Chapter 13 bankruptcy is available to debtors with regular income. There is also a cap as to the amount of debt that you can discharge in a Chapter 13 bankruptcy: $336,900 for unsecured debt and $1,010,650 of secured debt. If your current monthly income is more than the state median, the Bankruptcy Code requires application of a “Means Test” to determine whether a Chapter 13 bankruptcy is appropriate. Since a Chapter 7 bankruptcy will not save your home from foreclosure, you will want to file a Chapter 13 Bankruptcy, provided you are under Chapter 13 debt ceilings. The Means Test is a complicated mathematical formula that provides a 6 month snap shot of income and debt. At FL Legal, our attorney can run the Means Test after collecting the necessary income and expense information from you. If it can be proven that a Chapter 13 bankruptcy is the appropriate plan, you will be able to save your home from foreclosure. Due to the overwhelming need to modify mortgages and potentially assist homeowners keep their home at a reasonable rate, the Middle District Bankruptcy Court has initiated a mortgage modification program to assist Debtors obtain loan modification. 75% of mortgages modified through bankruptcy court are successful, as opposed to 3% in state court where the foreclosure case is initiated. Another advantage of Chapter 13 is that it allows individuals to rework secured debts (other than a mortgage for their primary residence) and extend them over the life of the Chapter 13 plan (3 to 5 years). Doing this may lower your payments over the life of the plan. Chapter 13 also has a special provision that protects third parties who are liable with the debtor on “consumer debts.” This provision may protect co-signers. Our phones are open 24/7. Call us at 1-800-984-9951 today and let our team help get your life back to normal.